This is guest post is authored by Monique Acevedo, VP of Sports and Active Nutrition Brands for Nature’s Bounty. I recently read a study titled, “Packaging and The Digital Shopper: Meeting Expectations in Food & Beverage” that highlighted some interesting findings about how shoppers are interacting with packaging using their phones. From taking selfies with products, to searching for product information, to entering sweepstakes, to returning products, to why they buy online, the study asked some interesting questions that are worth any marketer’s attention, especially those in the consumer packaged goods (CPG) or fast-moving consumer goods (FMCG) space. As I reflected on the data in the study, here are the take-aways I distilled for my own team at Nature’s Bounty. 1. Ensure each piece of packaging is glamour-shot ready. It’s clear from the study that shoppers are interacting with product packaging using their smartphones. Given that 13% of shoppers report that they have taken a selfie with a food or beverage product, it’s quite possible that any single unit of your product could be snapped by a shopper and put up on social media, turning your product into the star of a free ad. Is your packaging ready for its moment of fame? 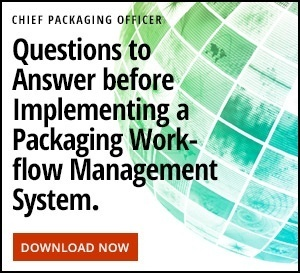 Consider how you might improve the consistent quality of the packaging you receive from your packaging manufacturer. 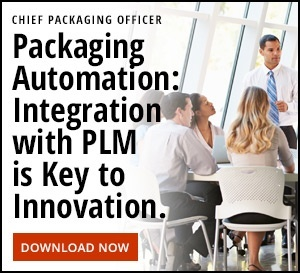 Find technology that can assure the quality of each packaging piece or label before it is shipped for filling. 2. Match the information on the packaging with product page search engine optimization (SEO) efforts. Shoppers will search for the product name and its image and ingredients on their phones while in the store, perhaps with voice commands. The study found that 37% of shoppers have taken a photo with their smartphone to search for more information on the product. Make sure your product can easily be found through search engines and retail apps. This includes not just the words, but the product packaging images. People are searching based on visual appearance and photos, not only keywords. Can computer vision identify your product by its package? 3. Reduce losses from returned online purchases. According to the study, 35% of shoppers who had returned product due to packaging did so because the packaging was damaged. Marketers and brand managers can improve brand profitability by improving the protective, durable qualities of the product packaging. Since the shipping of individual items subjects them to more strenuous conditions than items that are shipped in pallets, consider creating a slightly stronger or reinforced package for e-commerce fulfillment. 4. Match e-commerce imagery with the product packaging that gets shipped and available in-store. One quarter of online purchasers that had returned items said they did so because it didn’t “look right” or because it looked fake/counterfeit. In both cases, the appearance of the product online didn’t match the actual appearance at fulfillment. Make sure your online product images reflect what will actually ship to the consumer. Shoppers also expect their digital and physical experience of the brand to be consistent: 61% of shoppers expect the product packaging they see online to be exactly the same as what’s on the shelf in their local store. So it makes good sense to adapt your e-commerce experience to only show what’s available on the shelves of physical stores. Also make it clear to the shopper when the product images shown are slightly different from the actual product that will ship to them.